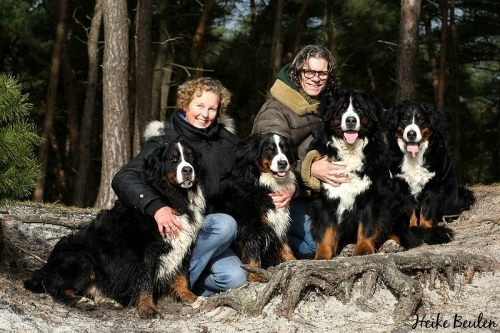 My name is Lisa Smiemans and together with my two sons and our Bernese Mountain Dogs, I have a small hobby kennel in the North-East of Belgium. It all began in 1999, when my husband (deceased October 2016) and I got our very first beautiful Bernese. We don't like to put our dogs in kennels, that's why they are free to move in and around our house. This is one of the reasons that our dogs live in a harmonious pack. 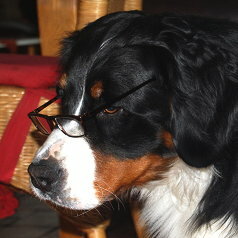 We strive to breed a healthy, friendly and beautiful Bernese Mountain Dog. The health of the dogs comes first. The male studs that we pick come from long living, healthy bloodlines. All our dogs have a pedigree from St.-Hubertus (FCI). 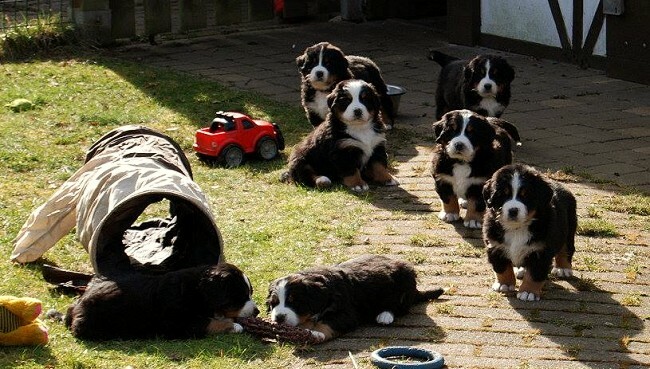 Each litter is born in our house so that the puppies, and the mother, get our full attention. This way the puppies can get used to the home environment. We always assist our puppy buyers with good council. Some of our dogs are used as therapy dogs ​​at 't Weyerke, an institution for mentally and psychologically handicapped people. therapy for dogs". A part of the socializing happens at the dog school, Hondenschool 't Kruierke in Balen. Our dogs are blood donors at the veterinary practice "De Meren" at Mol. If you want to have more information don't hesitate to e-mail or phone us. Our dogs are participating in the study of hip dysplasia by a multidisciplinary team within the Ghent University Association. The focus is primarily on the genetics, the researchers would only identify the causative mutation of laxity and the prevention of this disease in the long term reduce / disappear from the dog population. With the DNA that our dogs have abandoned, scientific research is done. 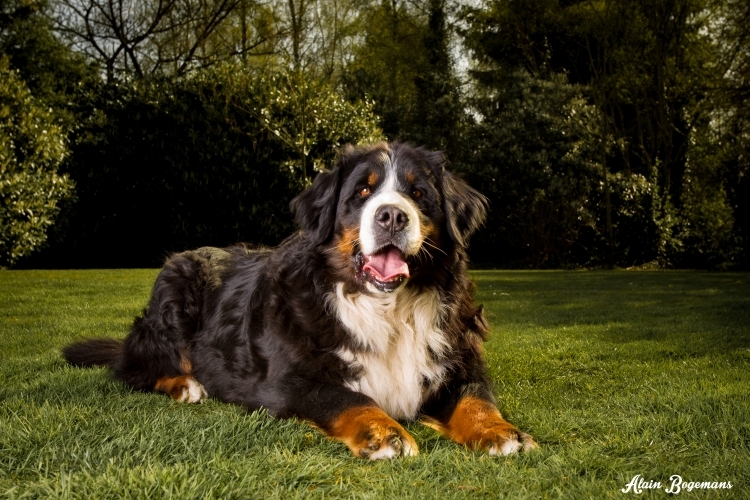 We breed according t0 rules of the FCI, St-Hubertus and the Belgium Bernese Mountaindog Club. 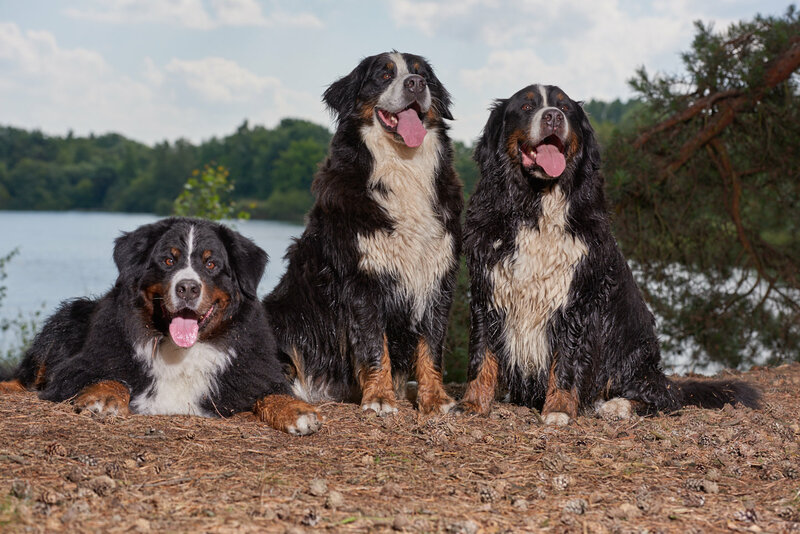 The Bernese Mountain dog is a longhaired tri- colored, bigger than medium large powerful dog. Of character he is very intelligent, confident, attached, super faithful, watchful and very patient with children. Should you have any questions, don't hesitate to ask us. Your e-mail will always be read and answered.